STATIC AND DYNAMIC BALANCING APPARATUS. 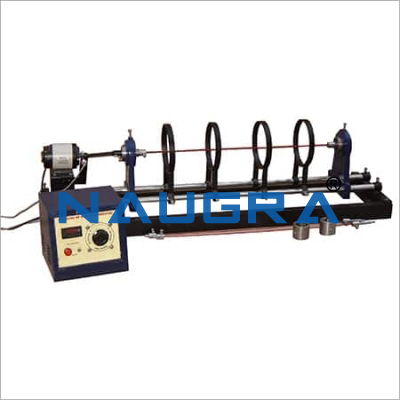 The unit consists of a precision ground shaft rotating freely in ball bearing. 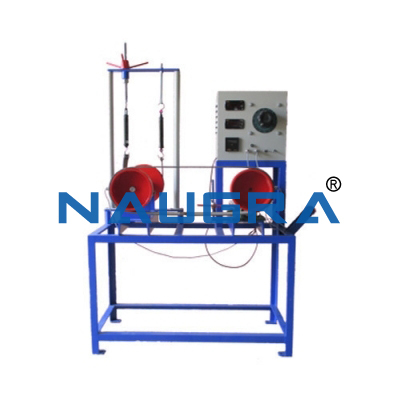 For static balancing demonstration, an eccentric weight creates unbalance and value of relative weight require to balance the eccentric weight statically is determined. 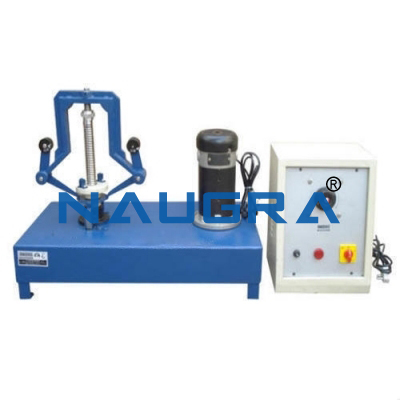 For dynamic balancing apparatus four weight assembly mounted on shaft is provided. Longitudinal and Angular position of weights are calculated from respective relative weight and the weight are mounted at the position. 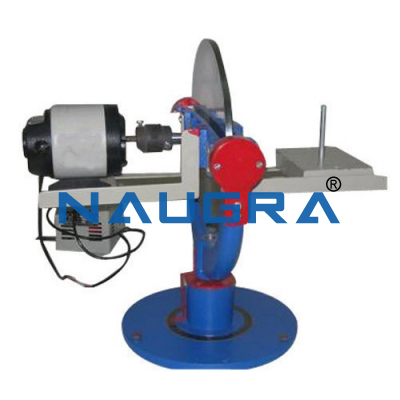 The rotation is vibration free when rotated by small motor. • Drive motor - Frictional horse power. • Four balances weight each containing a different sized “Eccentric” for varying the unbalance. • Additionally the containers, quality of precision made steel loading balls are supplied. • Independent analysis of static and dynamic balancing. • Adjustable balance weights with variable moments. 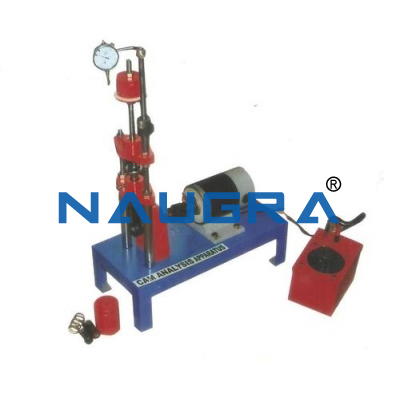 • Balance weight position accurately measured both radially and longitudinally. 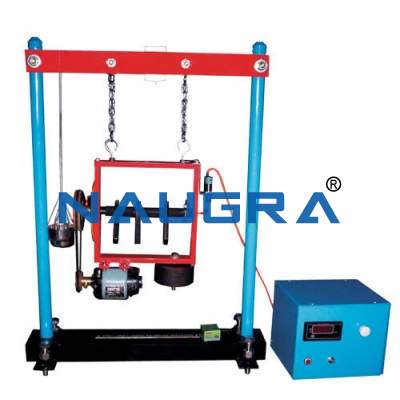 • Machine can be suspended on chains for dynamic balancing. • Completely portable and suitable for classroom demonstrations. along the shafts, by resolving and taking moments about one end of the shaft. • Single Phase 15amp electrical Connection. 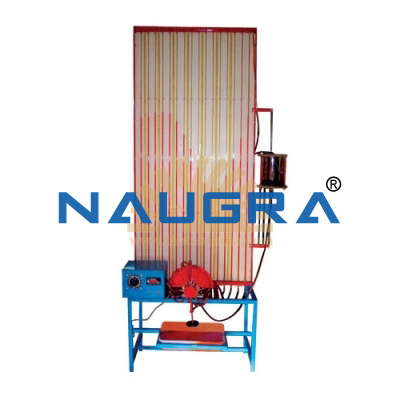 • Suitable floor space for instrument. 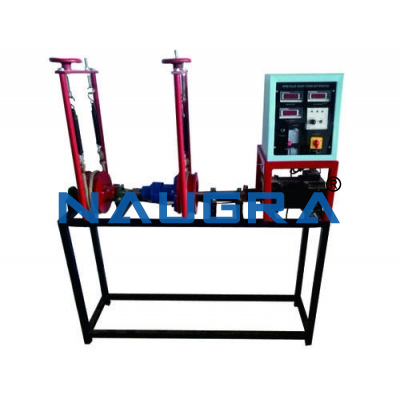 Other Related Teaching Lab Products, Scientific Instruments and Educational Equipments like STATIC AND DYNAMIC BALANCING APPARATUS. . .